An impeccably chosen blend of modern design features makes for a dynamite living room centerpiece. This fashionable sofa sets instead of follows trends with a chic, low-profile silhouette and beautifully complementing exposed wood base. Finishing off this designer-worthy look are matching bolster arm pillows and a contrasting nest of toss pillows. 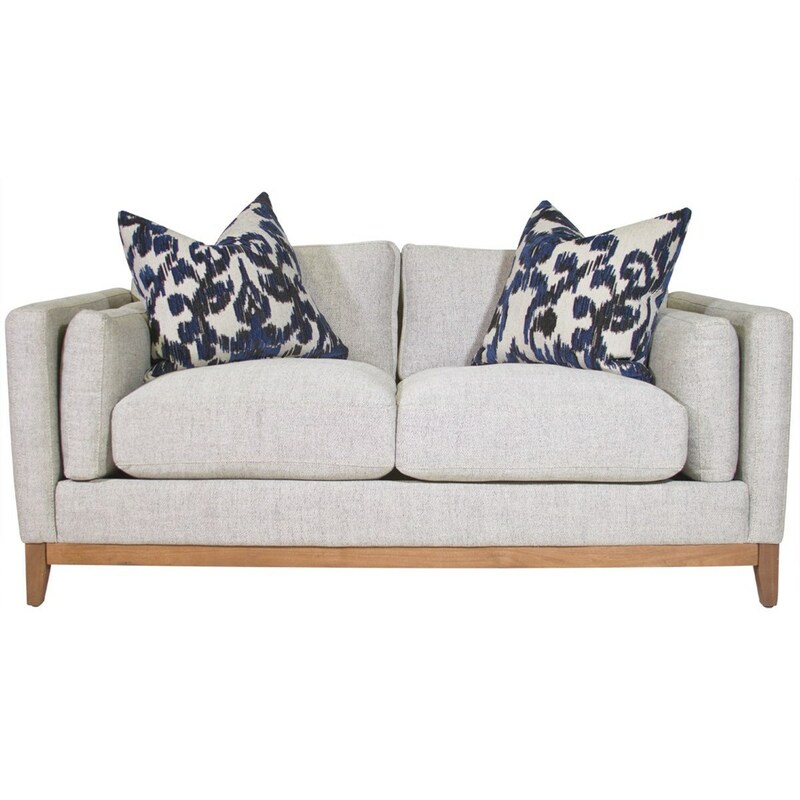 The Kelsey Condo Sofa by Jonathan Louis at HomeWorld Furniture in the Hawaii, Oahu, Hilo, Kona, Maui area. Product availability may vary. Contact us for the most current availability on this product. It's not hard creating an eye-catching living room that appears to be straight from the glossy shelter magazines. Plus, you don't have to break the bank to do so! This exceptional living room group boasts a covetable, contemporary-chic style and plush seat support with channeled fiber padding to minimize seat flattening. The Kelsey collection is a memorable living room look that's impossible to grow tired of, opening up infinite possibilities to the fabulous room decor of your dreams. The Kelsey collection is a great option if you are looking for furniture in the Hawaii, Oahu, Hilo, Kona, Maui area. Browse other items in the Kelsey collection from HomeWorld Furniture in the Hawaii, Oahu, Hilo, Kona, Maui area.